Defra Secretary of State Liz Truss has announced that the country is a step closer to opening up a £60 million a year export boost, following further talks between the UK and the USA to negotiate a deal. 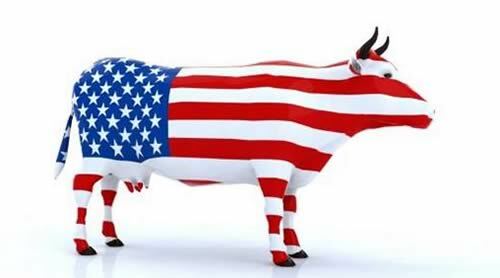 Last October NFU President Meurig Raymond was in the US pressing USDA trade officials to open up lamb and beef trade. Following his return he urged the Secretary of State to go to Washington to resolve outstanding US concerns. The UK submitted a 1,000 page dossier last week to the US Department of Agriculture, detailing the safety and quality of British beef and lamb. “Re-opening the US beef and lamb market to UK imports would be an important confidence building measure for the British livestock sector. The US is potentially a huge and affluent market that has strong links to the UK as we share history and language. “Securing access is one thing but building the market is another. We know we have a great product and story to tell and that our grass-fed beef and lamb is up there with the best in the world. The NFU asks that all those interested in selling beef and lamb in the US are afforded as much help as they need from the UK Government, AHDB and producers to market the product to US consumers. We are currently well placed to exploit any US/EU trade deal and negotiating on our own could delay access.